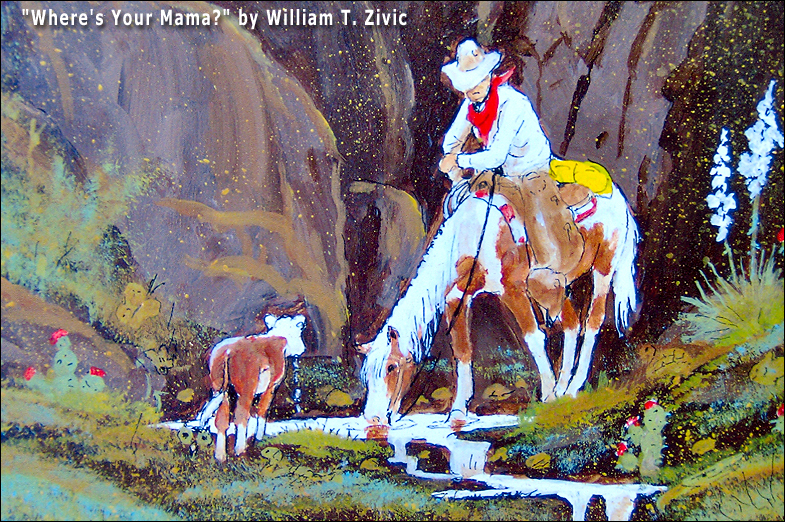 William T. Zivic Online Gallery: Where's Your Mama? 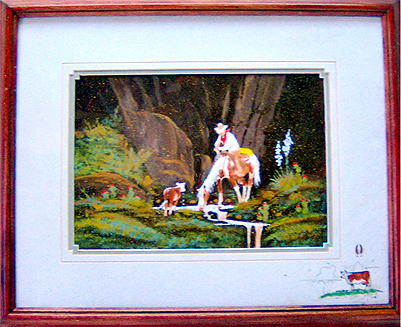 In this large framed piece (16x20), a cowboy sits on a horse who is getting a drink from a small stream. A lone calf watches them ... somehow she has lost her way. In the corner of the mat, the Mama cow ponders where her little one could be.